The sixth eLearning Excellence Awards of the eLearning Industry Association of Victoria was held last week. The K-12 sector had a great range of finalists with the Royal Children’s Hospital winning this category with their Create, Explore, Learn App. The Royal Children’s Hospital is home to some amazing animals and artworks. Can you find the 5 special features hidden in the app? Slide your fingers across the app home screen to explore the exciting world of the RCH. Once you have found all 5 zones, a button for each of them will appear on the app home screen next time you open it, so you can return to your favourite activities again and again! The Create Explore Learn app shares the art and animals of The Royal Children’s Hospital with children all around the world. The app encourages children to create their own artworks, explore the vibrant spaces of the RCH and learn about the artists, designers, zoo keepers and divers who all play a role in making the RCH a healing space and a learning place. Developed in conjunction with preeminent PE expert Robert Malpeli, this interactive program gives students an opportunity to be involved in an engaging story that draws out the concepts behind fatigue and recovery in elite athletes. 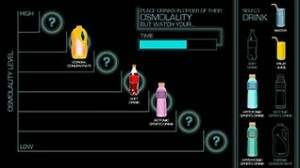 This interactive program is a clever hybrid of linear storytelling and interactive challenges that must be completed in order to proceed. The story is exciting and engaging, told from the first person perspective (with the student as the camera’s point of view), with lots of action, intrigue and exciting plot twists. The interactive challenges relate directly to what is happening in the plot and becomes an extension of the story itself – directly involving the student in what is happening on screen. The Language Learning Space supports teachers and students of Chinese language in Australian schools. It contains over 300 language resources, 15 professional learning modules and over 10 hours of videos. It brokers free access to tutoring based in China, to substantial resources like The Dragon Trilogy, to Rosetta Stone and to networks. Users can upload their own resources and create learning pathways. The student section includes links to 30 curated learning challenges that conclude with a quiz and graphic novel narrative set in China. The website is a LMS meets CMS mash-up, the first of its kind produced by ESA. Released in July 2013, the site has already received very positive responses from language teachers. The consistent feedback is that the site is unique in collating so many resources in one place and that the LLS has provided many ways of inspiring students to continue to study Chinese. The AITSL Illustrations of Practice project brings together two key national education organisations, the Australian Institute of Teaching and School Leadership (AITSL) and Education Services Australia (ESA). Working closely together to realise a core AITSL remit, to support the ongoing professional learning needs of Australia’s teachers and school leaders, AITSL and ESA worked on a program to develop, quality assure and publish 240 Illustrations of Practice over a three year period from 2011 to 2013. An Illustration of Practice is a three to five minute video vignette showing authentic teacher practice at a particular Standard and focus area drawn from the Australian Professional Standards for Teachers (APST). The outcome of the project is an online professional learning experience for teachers at the AITSL web site and enables various education stakeholders to gain a powerful snapshot of current, authentic teacher practice from across the nation. While not in the K-12 category, this app from Museum Victoria is a great one for students use when they visit the museum. Built by a curious curator, the Time Lens takes would-be explorers on a scavenger hunt around Melbourne Museum to discover some of the treasured objects and hidden gems of the museum’s collection. The free Time Lens app represents a targeted way to use mobile devices to help families explore the collection objects, exhibitions and themes presented throughout the museum. 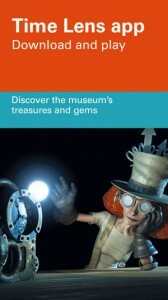 Incentive and reward is provided through unlockable badges and light hearted animations, but the intent of the app is not to be an experience that takes place solely on the screen of the device, instead being a mechanism to guide families to points of interest within the museum and give them launching off points for discussion around the significance of each object. Four computer-based interactive learning modules have been designed for upper primary and lower secondary school students. A comprehensive activity guide is available to support teachers to use the modules in their use in classrooms, including learning objectives, AusVELS standards and assessment activities. These modules were developed by the Department in partnership with Kingswood College, Action Drama Studio, Cybersafe Kids and Techsavvy. This video from Bright Ideas shows how the popular hashtags #vicpln #edchat and #tlchat can help you to build up your professional learning network. Also look out for #edvc to keep up with what is happening in virtual conferencing. Bright Ideas is a blog developed by the School Libraries Association of Victoria (SLAV) and the State Library of Victoria (SLV). 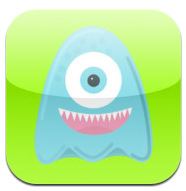 The Bully Stoppers iphone app is free. It is compatible with iPhone 3GS, iPhone 4, iPhone 4S, iPhone 5, iPod touch (3rd generation), iPod touch (4th generation), iPod touch (5th generation) and iPad. 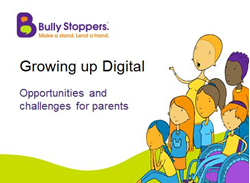 This informative and engaging 25 slide PowerPoint presentation has been designed by Robyn Treyvaud, Educational Consultant and Founder of Cyber Safe Kids. It aims to help parents understand the kind of digital technologies young people enjoy, the challenges and risks these might bring, and some resources to help parents manage the media diet in their family. The presentation can be used as it is or schools may wish to tailor it to their school communities’ needs. It includes comprehensive speaker notes and guidance for getting your audience involved in discussion. 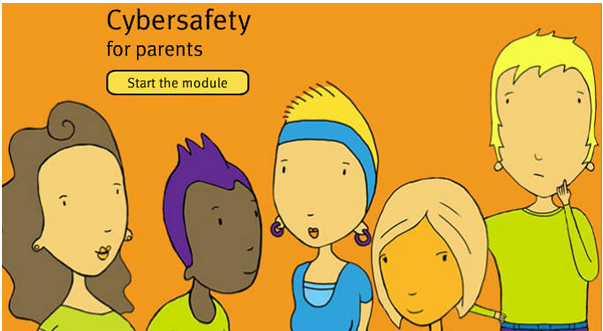 Bullying and Cyberbullying – This module, developed in partnership with Andrew Fuller, (clinical psychologist and student wellbeing specialist), has been developed to help parents understand, recognise and manage bullying and cyberbullying behaviours. 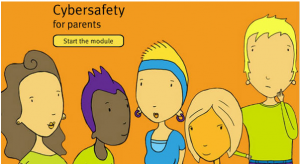 Cybersafety and Social Media – This modules, developed in partnership with Susan McLean (cybersafety expert), has been developed to help parents address standards of behaviour in the context of cybersafety and social media. 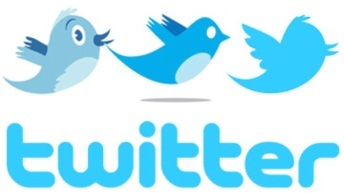 Social Media Guide – The module is based on guiding principles of behaviour that are applicable under existing Department policies and guidelines. It will assist teachers to better exercise their professional judgment. 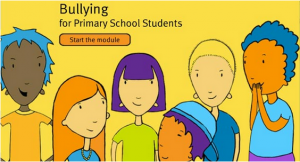 Bullying and Cyberbullying – This module, developed in partnership with Dr Ken Rigby (adjunct research professor, educational consultant and leading authority on bullying), has been developed as a practical guide to support teachers to respond and manage bullying behaviours within schools.